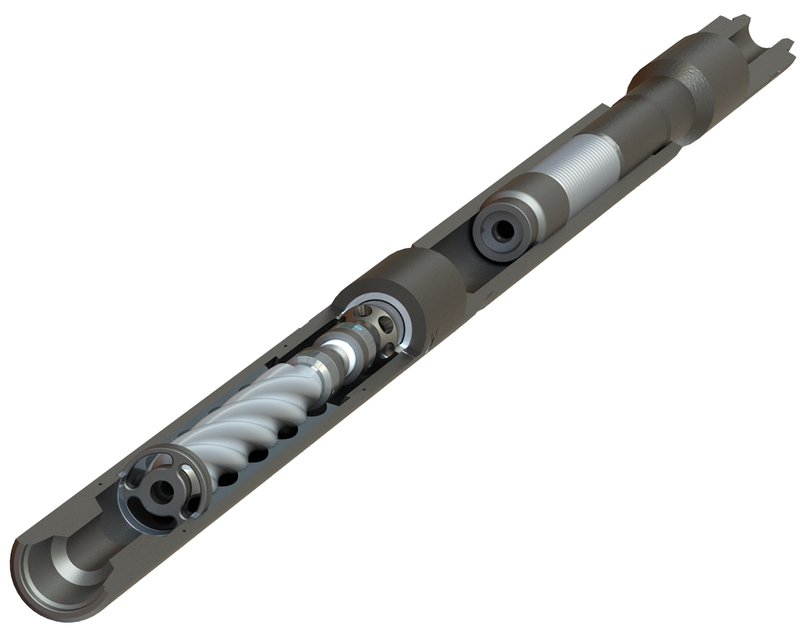 The Toe Tapper is a downhole mechanical device that is used during drilling to reduce static friction and increase ROP. The axial vibration generated through a negative pressure pulse reduces drag and enables a more eﬀicient transfer of weight onto bit. As the pumping pressure acts to expand the shock sub, the localized compression at the tool (WOB transfer) acts to compress the tool. Once the stand pipe pressure is vented to the annulus, the shock sub spring energy and change in stand pipe pressure work together to contract the tool causing an axial force that eﬀectively breaks static drill string friction.